Today, July 10, students and their guardians gathered for a school transfer information fair in Urawa. What’s this? 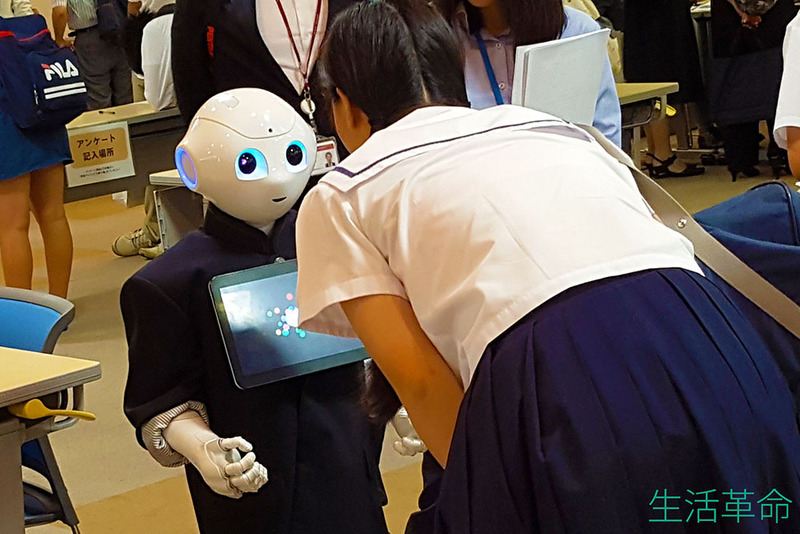 Actually wearing a school uniform…is Pepper also undergoing school transfer consultations? No. Actually, we at Seikatsu Kakumei bought it so that Pepper could add some excitement to customer outreach. We say that, but it is Pepper in a school uniform. 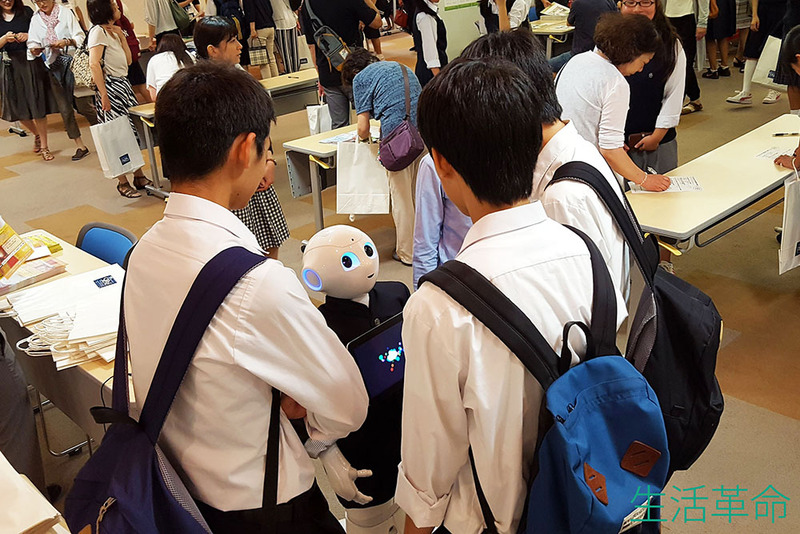 In the intense heat, Pepper greeted everyone who came to the event hall politely with the use of hand and body gestures. Suddenly, Pepper was encircled by schoolboys! St-stop! You won’t be able to get even 1 yen out of a robot! Actually, some of the students and their families who came to today’s information fair cited that they came because they wanted to meet Pepper! So, as soon as they caught a glance, the area around Pepper was bustling as always. 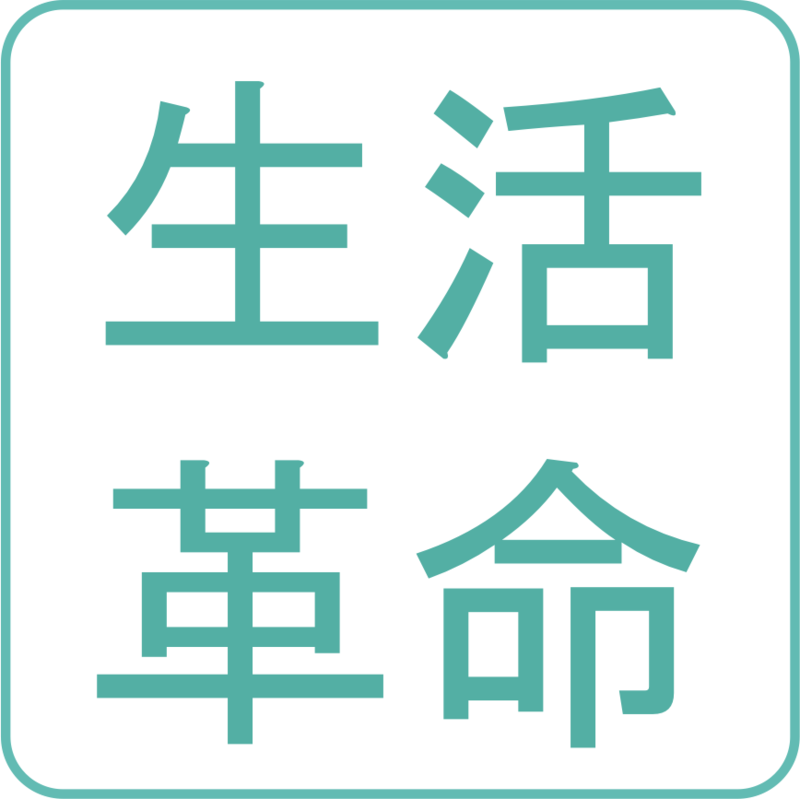 At the event hall, at the booth provided for private middle and high schools in the prefecture, many students and their guardians asked the teachers questions about school entrance, and received explanations. As this was an important school transfer information fair, everybody listened with enthusiasm. In the middle of that, “Pepper’s Difference Consultation” helped students and their parents at the provided question corner. Pepper’s power as a school transfer advisor is…!? The students all randomly asked questions. Hey, hey (lol) asking such questions to a robot. There’s no way it can answer that, lol. …or so one might think! Pepper kept answering accurately and without pauses! For the students and their guardians, the fun conversations with Pepper initially only produced smiles. After Pepper’s numerous answers proved to be not only surprising but indicative of true understanding, however, their expressions became serious. Some students even began to take notes. For the students and their parents who came to the venue, Pepper’s advice was very encouraging, with many leaving the venue with bright facial expressions – also an impressive sight. At Seikatsu Kakumei, as in answering the concerns and questions of these students, while we seek the cooperation of participating teachers, we are also working on Pepper system development. We think anyone who has ever interacted with a Pepper robot will understand, but normally, you can’t find the type of Pepper described above that can accept and answer difficult questions. With Seikatsu Kakumei’s specially developed robot brain boosting software, we have created an even more surprising Pepper, realizing the types of responses you can see here. Our company is also strong in customizing Pepper to fit various situations. 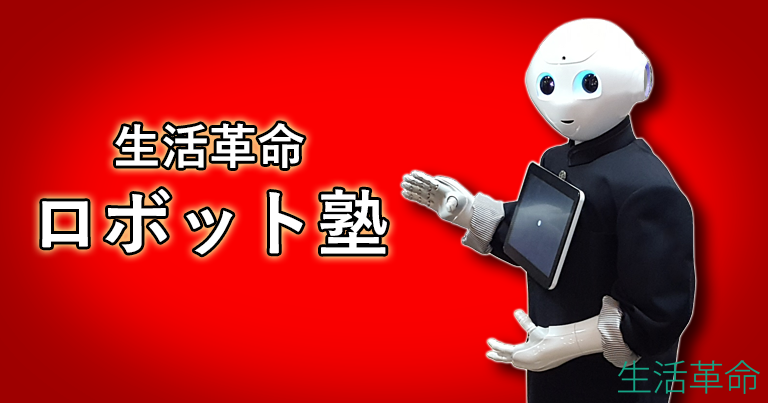 If you are thinking about using Pepper, please be sure to contact Seikatsu Kakumei.